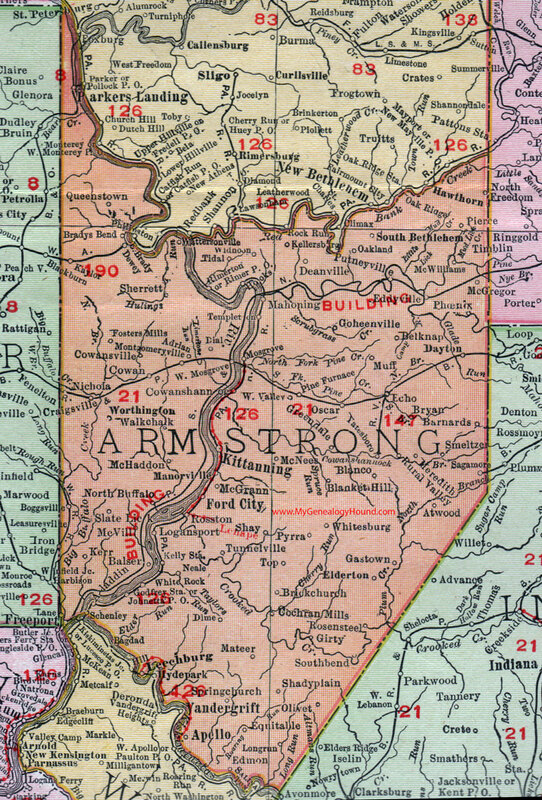 Armstrong County (pop. 68,941) is east of Butler County. The only other Armstrong County is in Texas. The county was named for John Armstrong (1717-1795), a general in the Revolutionary War and a delegate to the Continental Congress for Pennsylvania. 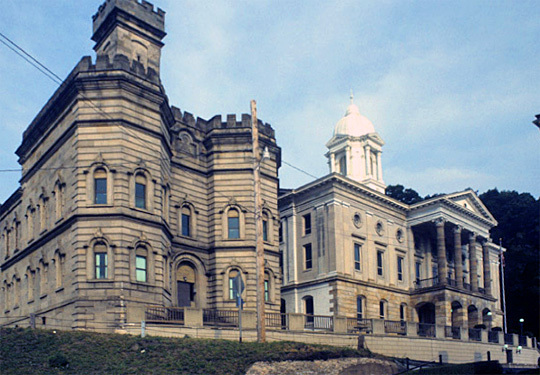 The Armstrong County Courthouse is on the National Register of Historic Places. 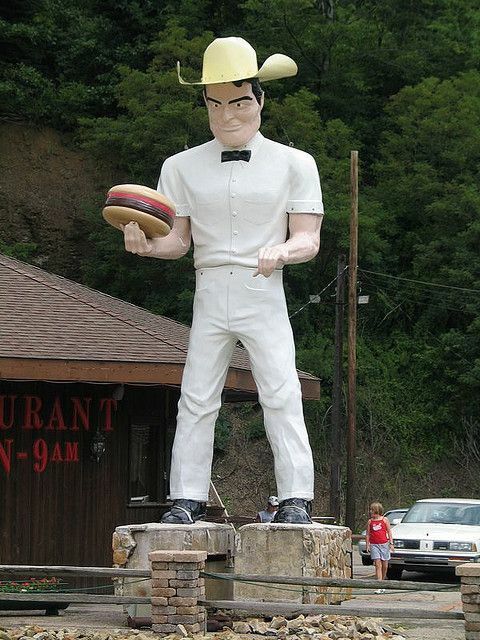 A Muffler Man holding a hamburger is in front of the Cadet Restaurant in Kittanning. Ford City (pop. 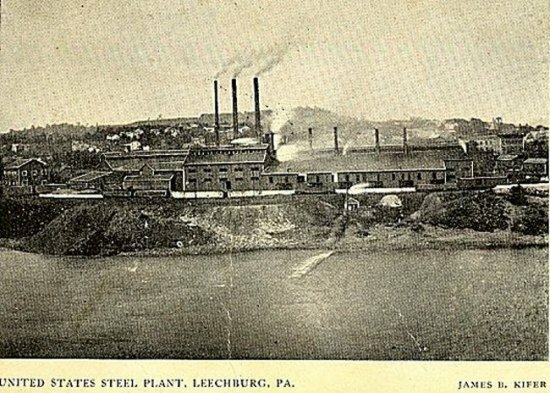 2,991) was a company town, founded in 1887 by the Pittsburgh Plate Glass Company (now PPG Industries). Its factory once employed 5,000 workers; it was closed in the 1990s. The city of Parker (pop. 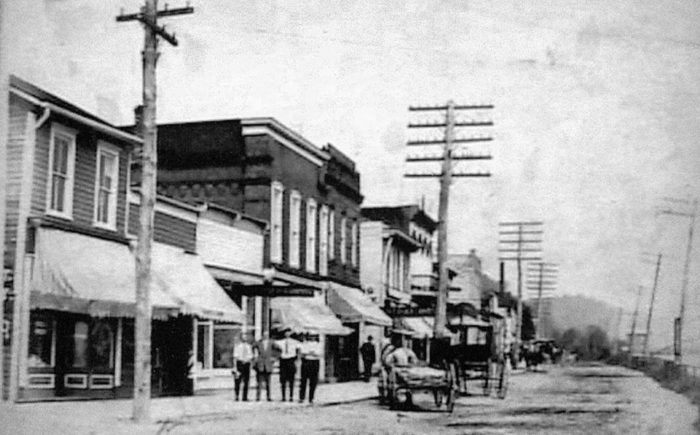 840) has been called “The Smallest City in the USA.” It briefly had a population of 20,000 in the 1870s, during the northwestern Pennsylvania Oil Boom. 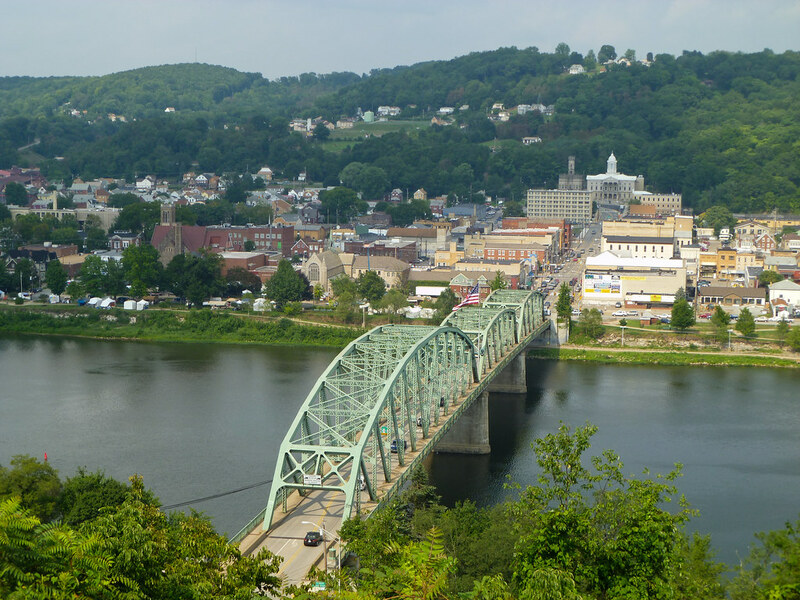 In the winter of 2014, Parker was the site of a massive ice jam on the Allegheny River, causing minor flooding. The borough of Leechburg (pop. 2,156) was the first place where natural gas was used for industrial purposes. Leechburg’s population peaked at 4,489, in 1930. This entry was posted in Pennsylvania and tagged Brady's Bend, Ford City, Kittanning, Leechburg, Parker.